Features master-musicians playing some of the many instruments that were to be found in this large country, in both instrumental tunes and in accompaniment of songs. 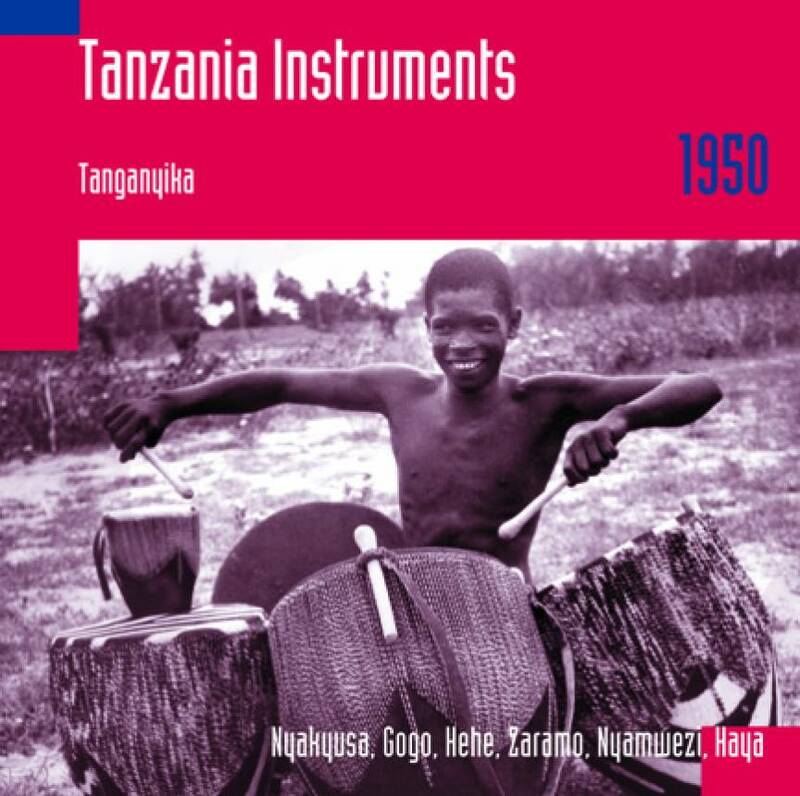 The dark rumblings of the nanga trough zither, sparkling likembe notes, deep drumming, flute laments, panpipes – from the northwestern corner near Lake Victoria to the musical melting pot of Zanzibar. A journey of highlights only. Total time: 62'52". 20 page booklet. Tracklist: 1. Mjinga Masikiyo Uzibe, 2. Mitambu Yalagala Kumchuzi, 3. Hongahonga Lele, 4. Tubuke Ku Kaya Kwa Mwankenja, 5. Kikobele Kiluba, 6. Five Ilonge Tunes, 7. Tukhongine Tulauya, 8. Ngwikdika Sadanga Wapamagulu, 9. Drum Rhythm, 10. Chume Che Nledi Nkwigaila, 11. Malume Gasimbi Chilumenda,12. Sauti I, 13. Sauti II, 14. Manyanga I, 15. Manyanga II, 16. Nkete, 17. Mugangara, 18. Rwakagasha, 19. Kishwaga, 20. Mugasha, 21. Lukiza, 22. Two Enkoito Rhythms, 23. Marombogo, 24. Majirani Njoni, 25. Tukalanga, 26. Kisonge, 27. Hindu Yamsegesa. Songlines 2004 (GB): "This disc gives a fascinating and extremely relevant perspective to anyone interested in hearing traditional music and at the same time discovering the roots of some of Africa’s contemporary popular styles."